Flagship Wines named as one of the UK’s 50 Best Indies 2017. Announced at the annual Think Indie, Drink Indie event in London, independent retailers from all over the country gathered to immerse themselves in a daylong event aimed at the business needs of independent drinks merchants. The UK’s 50 Best Indies countdown crowned off the event, celebrating the exceptional work of the country’s best independent retailers. FLAGSHIP WINES was announced in 39th place. Following it’s launch last year, Harpers Wine & Spirit once again polled their UK wide judging academy asking them to vote for the independent merchants that have done the most to drive forward quality and innovation in the retail of wines, beers and spirits. To arrive at this list, Harpers divided the country into 10 zones, and chose experts for each region. Each expert was asked to nominate three retailers from their region, plus two from outside the region, and rank them from one to five, with a weighting attached to each vote. 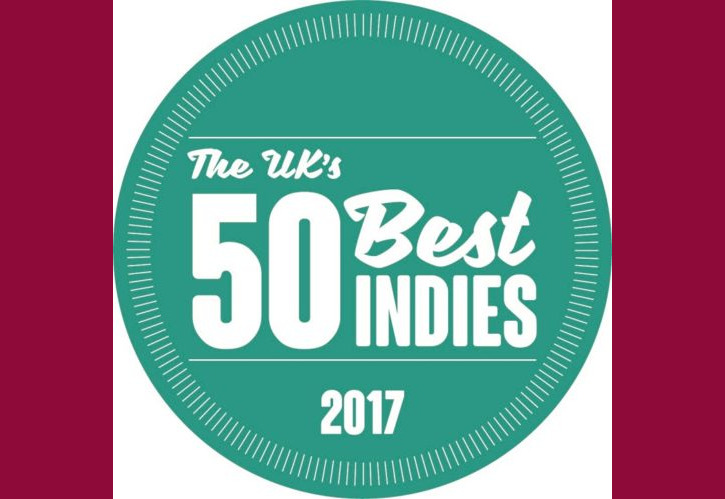 All of the UK’s 50 Best Indies proved what a buoyant, dynamic sector of the market this is with their fantastic approaches to buying, ranging, education and customer service.